1.Chunky plastic wristband with red and blue LED. 2.To activate, press the button inside of the bracelet. 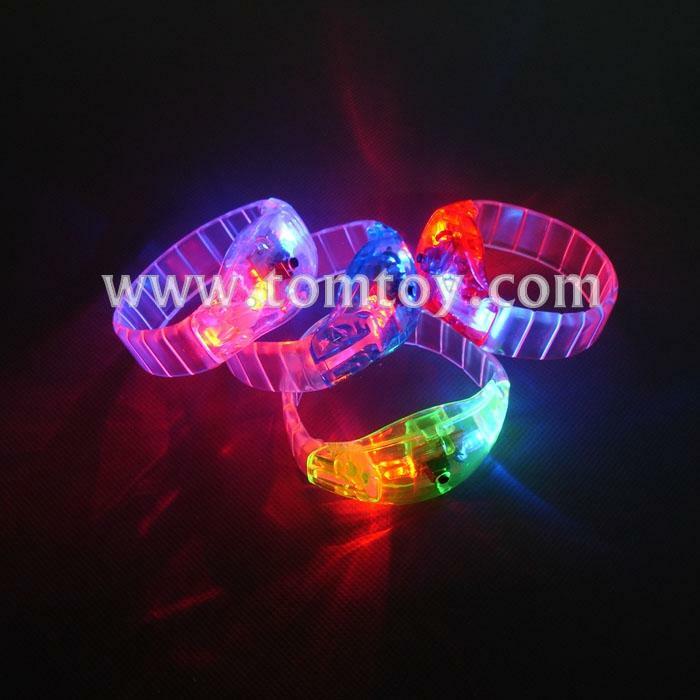 3.These bracelets have 4 functions: flashing, fast flashing, change flash,off. 4.Available in pink, blue, gree and transparent colors. 5.Batteries: 3pcs AG3. Replaceable, included and installed.